Double layer aluminium PCB Board,Led PCB. Thermal Conductivity is 1.0W/m-K.With LED white soldermask. surface treatment is lead free Hot Air Solder Level. 8-up panel connect with v-cut. E-test 100%. With the development and progress of electronic technology, it has become an inevitable trend for Electronic Products to be light, thin, small, personalized, reliable and multifunctional. Aluminium substrates were born in response to this trend, with excellent heat dissipation, machinability, dimensional stability and electrical properties in hybrid integrated circuits, automobiles, office automation, and high-power electrical equipment. Power supply equipment and other fields have been widely used in recent years. 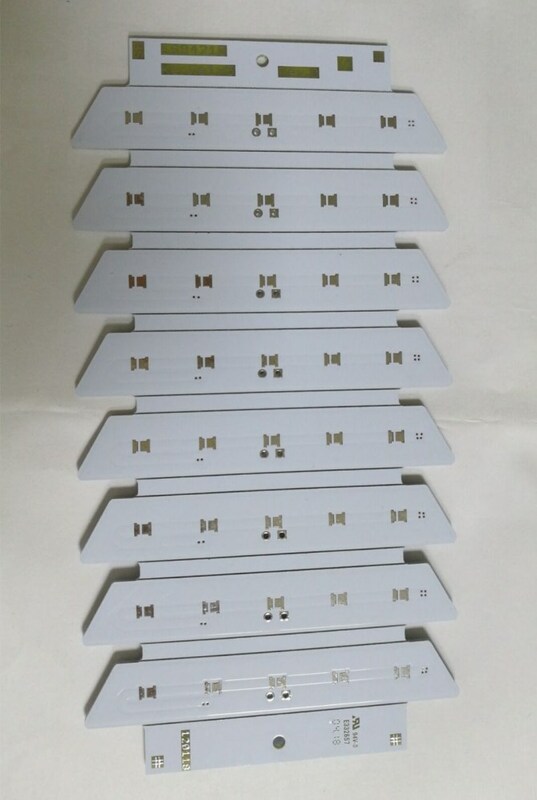 Looking for ideal White Soldermask Board Manufacturer & supplier ? We have a wide selection at great prices to help you get creative. All the Aluminium Circuit Board are quality guaranteed. 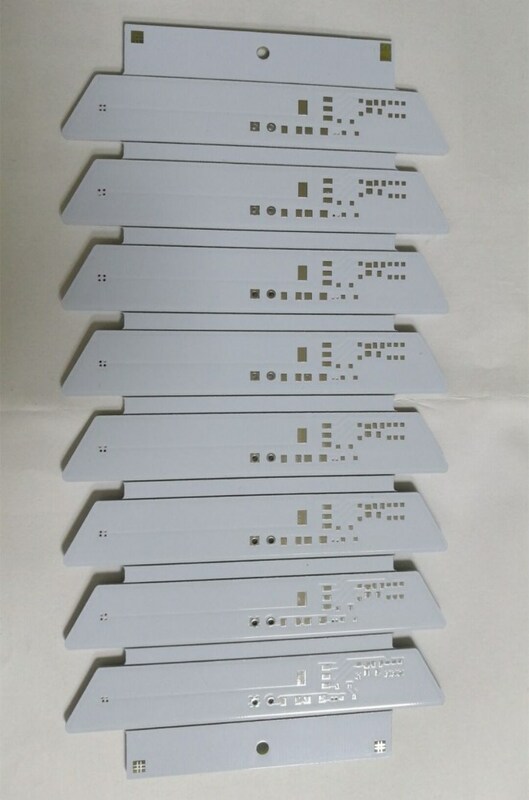 We are China Origin Factory of Metal Base PCB Board. If you have any question, please feel free to contact us.